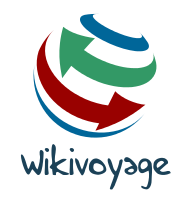 Visit Wikivoyage for information about various destinations. Visit Earth Cam for those times you’d like to see how your favourite city is ticking away without you. Need a currency converter – try Oanda for quick and up-to-date rates. Earth Calendar for all your enquiries about what’s happening around the globe and how it will affect your travel plans. Translator to assist you when you don’t have a dictionary handy. The Weather.com will give you some insight of what you can expect upon your arrival.